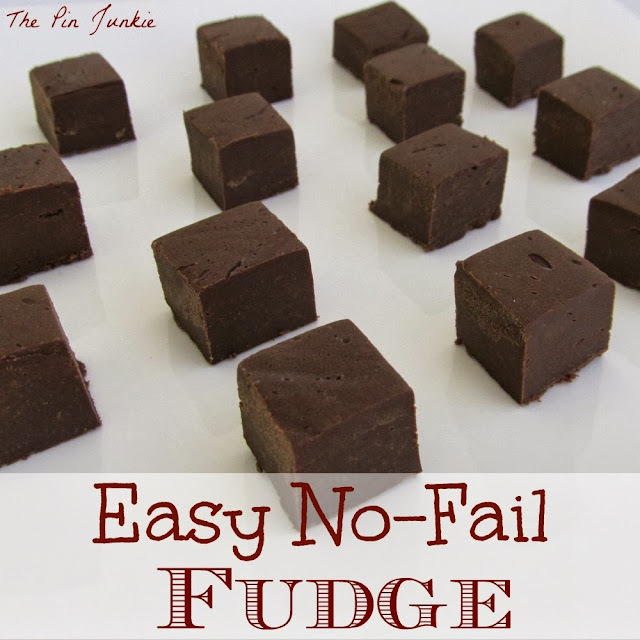 I've been making this fudge recipe for years and it really is the easiest fudge recipe ever. Seriously, you can make a batch in just minutes and the results are perfect every time! It's delicious too! 1. In a medium saucepan over medium-low heat melt chocolate chips and condensed milk. 2. Remove from heat and stir in vanilla and nuts. 3. Spread evenly in a foil lined 8 or 9 inch square pan. 4. Chill two hours or until firm. 5. Turn fudge onto cutting broad. Peel off foil. Cut into squares. Store covered at room temperature. When it comes to fudge, do you like yours with nuts or plain? I prefer nuts, but plain is good too! 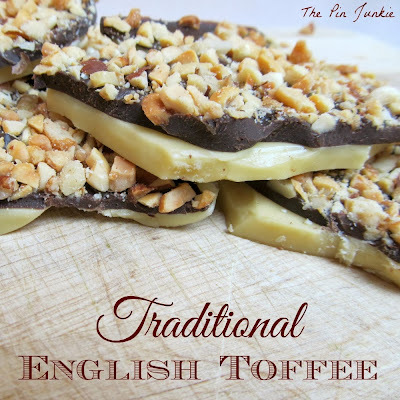 you might also like this recipe for homemade English toffee. Have to try these! Thanks! I need to try and make this for my kids! I know what you mean! I've eaten way too many sweets as well! Yup this is my old family recipe....make this for teachers each year. Tastes even better if you keep in the fridge! This is my favorite fudge recipe too (exactly the same recipe). It's got a richer chocolate taste and it's less sweet than a lot of fudge recipes. I would rather have more chocolate than sugar! Does anyone know a substitute for sweetened condensed milk? Would milk chocolate chips work as well, or a combination of some semi-sweet and some milk chocolate? Thank you for this recipe. I lost my copy and HATE thermometers.